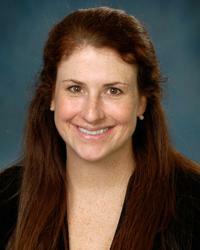 Cortney Foster is a pediatric intensivist who is board certified in both pediatric critical care and general pediatrics. She completed her residency and chief residency at the University of Maryland. She completed a pediatric critical care fellowship at Children's National Medical Center and then returned to University of Maryland to join the faculty team. Her interests include medical student, resident and fellow education and her research interests include NIRS, congenital heart disease, and team dynamics. In addition to her clinical work, she serves as the associate program director for the pediatric critical care fellowship program.